A number of years ago, while in Cape May, an historic Victorian City in New Jersey, I experienced a sewing epiphany. It was Victorian Week. Women and men dressed in magnificent Victorian garb were strolling along the mansion lined streets. Men were courteous and hansomely attired in tux and top hats. 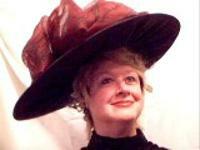 The women wore bustled gowns and glorious hats appropriately tilted on well coiffed upswept hair. I was mesmerized by the fashions from this period and felt they must have been created by the most skilled couturiers in history. From that moment on, I wanted to emulate their fashions and sewing skills. I have collected original Victorian and Edwardian periodicals and costumes, inspected them and learned from their methods of sewing. 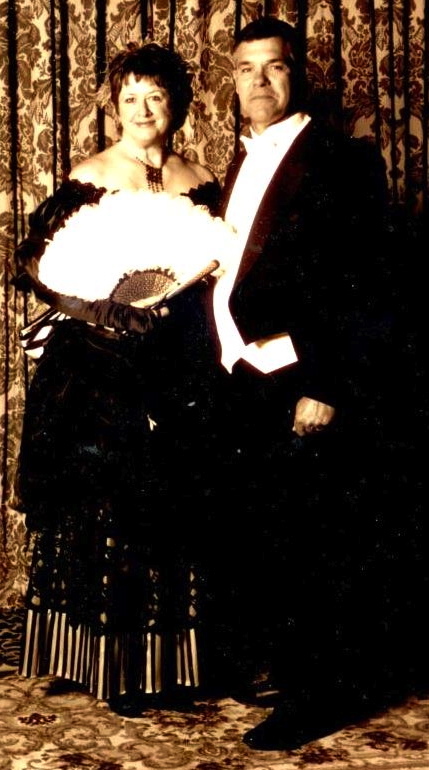 I made many costumes like to one on right to wear to Victorian Balls, Strolls and other Victorian social events. More of my Repertoire will be posted under Creations Tab. Some may eventually be for sale. Occasionally, from my Victorian and Edwardian periodicals, I will share pictures, sewing instruction and other articles of interest to the sewing community. My patterns are updated versions of fashions from those glorious eras. (Other more modern patterns I developed to fill a void where I was unable to purchase retail or find a current commercial pattern.) I have tried to incorporate many of the vintage sewing processes in my pattern instructions. As my patterns become available they will be offered through my revised Web Site. I am so pleased to have my site up and running for your perusal. LADY CHER PATTERN HAS ARRIVED! As I develop patterns, you will see them here first and be notified by my newsletter. In the process of designing a pattern, I make up Samples and display them here when they are for sale. Some offerings maybe purchased items, that I embellished. Check site out periodically. Inventory is limited and you may not see them again. Embroidery personalization is available on some items.